Elizabeth Rogers meets the retired lock keeper who has many happy memories of life along the Thames bank. 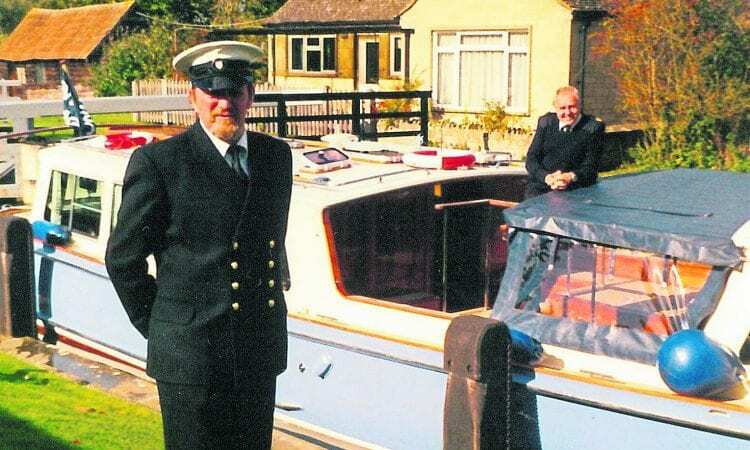 GRAHAM and Valerie Margesson have found their ideal home following Graham’s retirement after 41 years as a lock keeper. They have moved to a road in a small town a few miles away, where a stream runs behind the properties. “So we still have water running at the bottom of our garden,” says Graham. 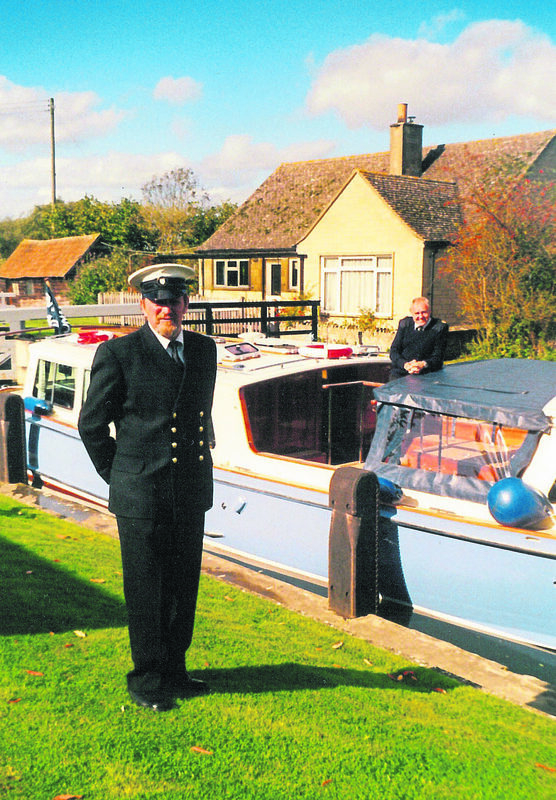 He retired in 2010, and the move was from the lock keeper’s house at Rushey Lock on the River Thames, at Ruckland Marsh near Faringdon, in Oxfordshire. This was the family home for 25 years, and also during an earlier spell when Graham was relief lock keeper covering Rushey, Radcot and Shifford Locks. His career on the waterways had begun much farther downstream, as a relief lock keeper at Molesey, near Hampton Court Palace. The family were then living at Isleworth, near Richmond. “I worked alternate weeks – and the locks were still manned right through the night at that time,” he relates. It was from there that he made the move upstream when there was a vacancy for the relief lock keeper at the Shifford, Rushey and Randcot trio. The River Thames was at that time the boundary between Oxfordshire and Berkshire, so depending on which side of the river the accommodation stood, addresses could be in either. Since the 1974 reorganisation of county boundaries, Oxfordshire has been extended several miles further south. “The lock keepers had rotating days off, so I took over at each in turn, and my own days off followed,” Graham relates. During the three years he spent in this role a bungalow at Rushey Lock became available, and the family moved to their first riverside home from nearby Aston. Graham was able to take charge of his own lock when the position at Shifford became available, and he spent nine years there. This is a particularly remote stretch of the river, with the nearest neighbours in the tiny hamlet of Chimney, which consisted of just one farm and a few cottages. He and Valerie remember one winter when they were snowed in for three weeks, during the 1970s – when we still had real winters. “But we had a big chest freezer, and plenty of vegetables as I grew a lot of my own,” says Graham. Two of their children were born at Rushey Lock and two at Shifford. The transport to their school was well taken care of with a taxi collecting them each morning. They attended Aston Primary School, and later, when back at Rushey, secondary school in Witney. But this was not a door-to-door taxi – at Shifford the children were taken by their parents to meet it over four fields – often containing cattle – to the road end at Rushey along the mile-long roadway from the lock. Another memory for Graham of life at Shifford was when a bull in one of those fields became caught up in one of their gates. The bull was one with which he was familiar – for it had chased him only a week or two before. 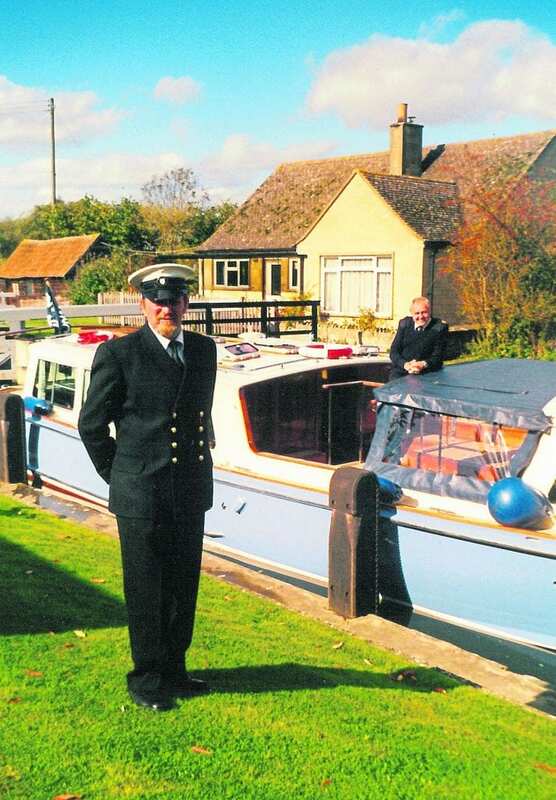 After nearly 10 years at Shifford the family moved back to Rushey, when Graham became lock keeper there. There was a cattle-related incident there too – when a cow fell into the river and had to be pulled out by a tractor. It was none the worse for the incident however, for the following day it gave birth to twin calves, and mother and babies were reported as doing well and thriving. There were many more cattle on riverside meadows before the present decline in the dairy industry. Nowadays there are many more sheep, and Graham says that for a sheep to fall in is even more serious, as the weight of a waterlogged fleece soon starts to weigh them down. Two swan-related incidents resulted in the people who went to their rescue themselves taking a dip. Graham remembers the day when a swan swimming along got its wing caught up in the lifebelt of a passing boat. One of the passengers set about releasing it but when the swan took him by surprise with the powerful flapping of its wings, he fell overboard. Happily his rescue had been successful and the swan was unhurt; he just had to get back on board and to somewhere where he could get dry again. The second ‘casualty’ was a female RSPCA inspector who was called to Shifford to carry out a swan rescue, and herself landed in the Thames. Graham would always call out the RSPCA or other means of assistance when any wildlife or livestock were in trouble. This is a popular stretch of the river with fishermen – Graham remembers regular coach parties coming from Coventry, among other places. One fisherman had a particularly unpleasant experience. While sitting on the bank he was bitten by mink, and had to be taken by Graham to hospital for treatment for his injury. Wildlife abounded – outdoors there was the fox Graham saw walking over the catwalk of the weir, an otter with two cubs and there were herons and moorhens, and one day a terrapin was found in the small swimming pool – now a pond – which he had made for the children. While indoors, there were the scratching noises that revealed stoats in the loft, and in the office a colony of bees took up residence. The Environment Agency has played its part with conservationists in supporting wildlife, including by making the wartime ‘pill-box’ the concrete look-out shelter on the access road a secure home for bats, and by installing a salmon pass on the river. When the youngest was nearly five years old, she started helping at the lock as well. One ‘member of the family’ remains at the lock – the topiary frog which Graham shaped from a euonymus bush. One day, noticing a similarity in the shape, he trimmed it into to a very realistic frog-like face, and it soon because a real feature of Rushey – boaters stopping to take photographs as they passed through. “He became quite a character of the river,” says Graham. So important has the frog become that Graham’s successor has been asked to make sure that he is kept in trim to continue to greet his admirers.